When entering in a Scheduled order, or changing a Quote or Booked order to a Scheduled status, Acctivate allocates as much available inventory as possible to that order. This allocation of inventory availability is referred to as ‘Scheduling’. 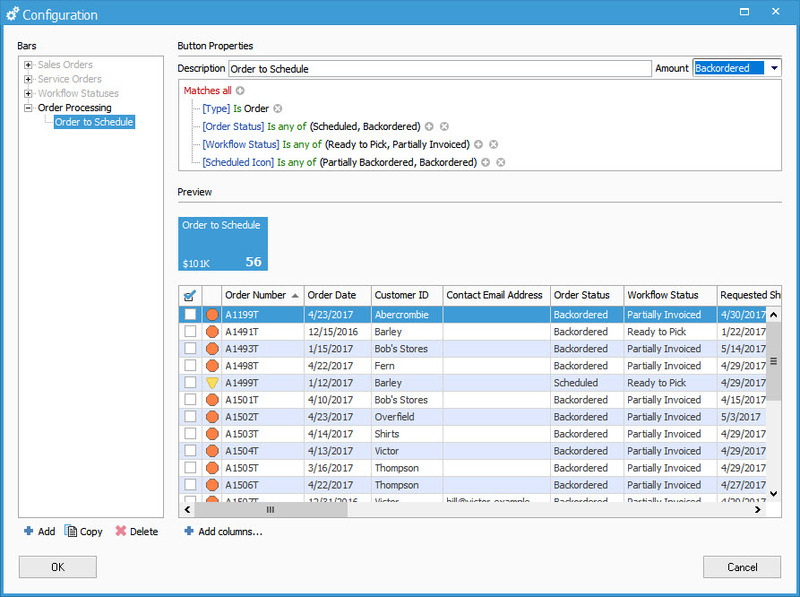 During this time, there may not have enough inventory availability to schedule the entire sales order, resulting in some order lines being backordered. In the event that you have a change in inventory availability, such as a vendor purchase order being delivered, you would want to allocate that new available inventory to the backordered quantities on the sales order. 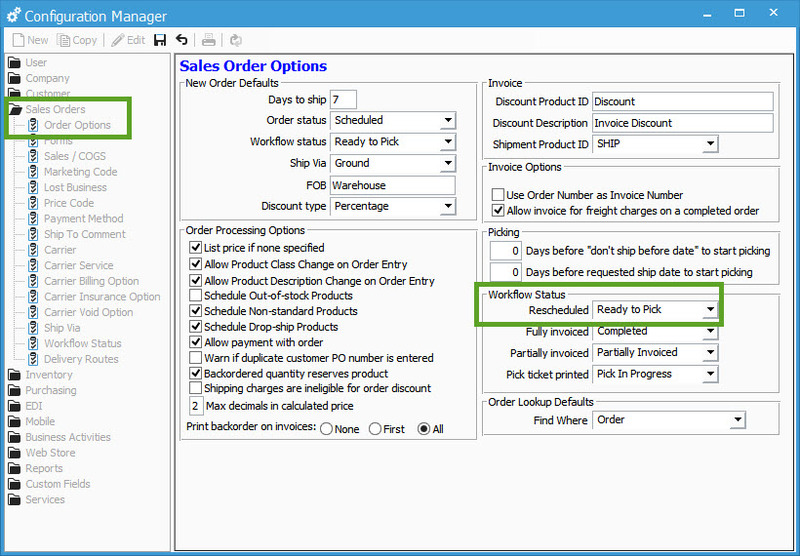 When you reschedule a sales order, the workflow status of the sales order will change to the workflow status that is configured in the Order Options of the Configuration Manager. During the rescheduling of a sales order, each line is checked to see if there is any new inventory availability. If there is, the sales order will update the scheduled quantity and the backordered quantity. Which orders should I reschedule? Not all orders should be rescheduled. For example, if someone is in the process of picking a sales order, we shouldn’t reschedule that sales order because it could lead to the quantities invoiced being different the quantity shipped. Likewise, if an order has been shipped but not invoiced, we don’t want to reschedule that order because it would potentially change the quantities scheduled as well as put the order back into the “Ready to Pick” workflow status (depending on your configuration). The image below displays a custom button created in the Order Manager which allows you to quickly focus in on these orders. These orders have yet to enter the order processing steps (ready to pick order) or they have been partially invoiced and are ready to go back to the beginning of the order processing workflow. It’s recommended that you only reschedule these orders. Once you have this button setup, you can batch schedule using the Order Manager, or you can use this list to drill down to each order individually. Keep in mind if you batch reschedule these order, Acctivate will start with the order at the top of the list first and work downward, so you may need to sort the list first by clicking on the column headers. When should I reschedule orders? While there is no harm in rescheduling these orders as frequently as you like, there is also no benefit unless there has been something that has caused an increase in product availability. A common example would be the receiving of a vendor shipment. Once the Purchase Order shipment has been received in, you can Reschedule the orders so that the new inventory is allocated to these orders.